Over the past few years, SolvIT has created a new tradition to celebrate Employee Appreciation Day! Our "Grilled Cheese and Tomato Soup Luncheon" is a bit different than your average company lunch. The SolvIT managers are the ones who get cooking to provide a delicious lunch for their team members. Cooking for our teams is a unique way to show that we care. 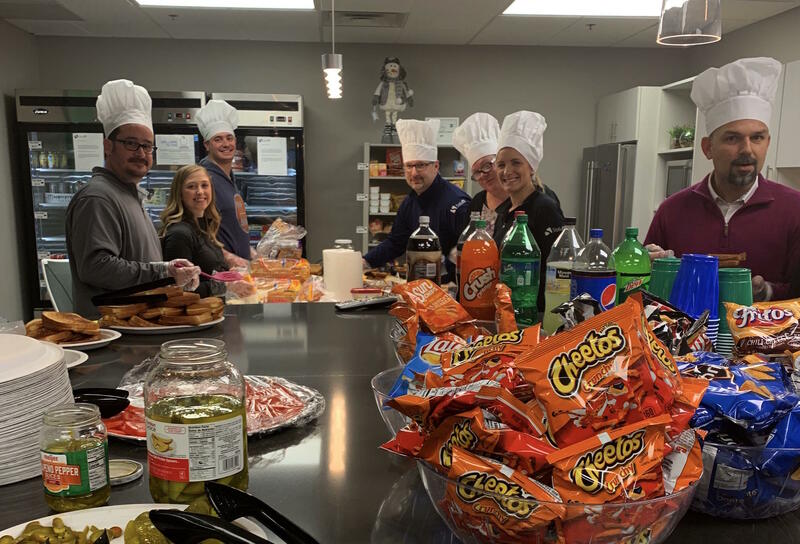 Managers can provide leadership, direction, and advice throughout the work week, but to be able to cook them lunch shows a different kind of appreciation! Each year, our team tries to switch it up a bit. This year included grilled cheese sandwiches, tomato soup, sandwich toppings, chips, pickles, and refreshments. Yum!